New research by Chris Murray at the University of Washington gives us powerful evidence of the importance of achieving MDG 2 -- education for all. Murray found that half the reduction in child deaths over the past 40 years can be attributed to better education of girls. For every one-year increase in the average education of reproductive-age women, a country experienced a 9.5 percent decrease in child deaths. 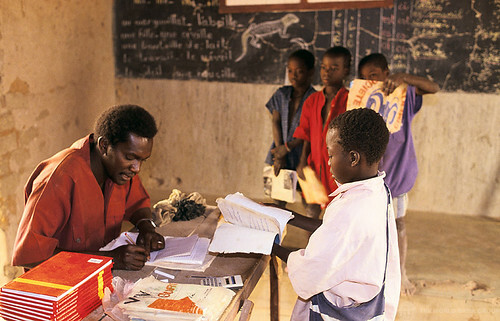 Around the world, aid from international donors buys textbooks, hires teachers, and opens schools - all worthy and necessary contributions in the fight to educate every child. But largely, the development equation remains fundamentally the same. A new book presented at the World Bank recently by the Center for Global Development flips that equation on its head with proposed progress-based aid for education. In essence, the idea entails paying a country not for inputs such as pencils or classrooms - but once each child educated passes certain bars such as completion of his or her grade level.